The Naga people, living at the border between India and Burma in the southern spurs of the Himalayas, have the lowest level of civilization in Asia. Back in the early 20th century they were engaged in headhunting and bloody tribal wars. 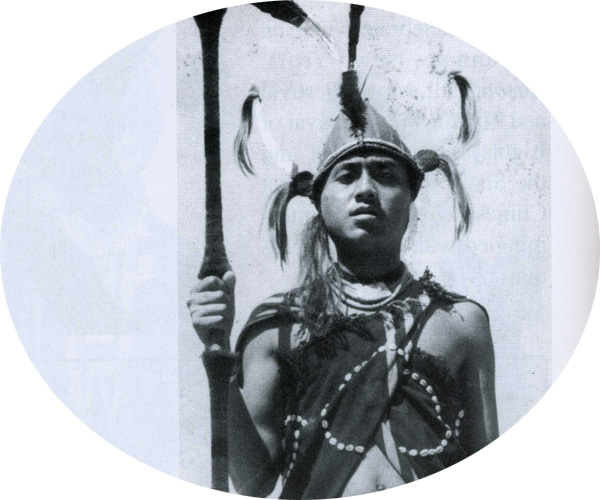 Military rituals still play a huge role for the Naga: a traditional men's garment is almost always that of a warrior. 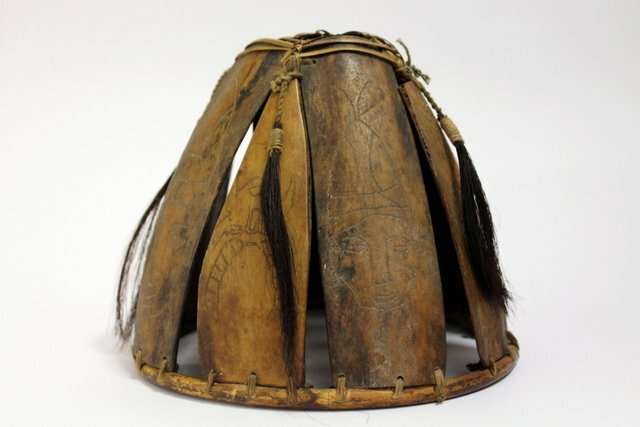 This applies to the helmet made ​​of vertically arranged buffalo rib bones fastened on top and bottom by hoops of strong ropes. Several horsehair tails hang from the top. Interestingly enough, each bone bears carved human faces: apparently they depict the spirits of ancestors, protecting the warrior in combat or hunting. This particular helmet was purchased at a market in Rangoon.